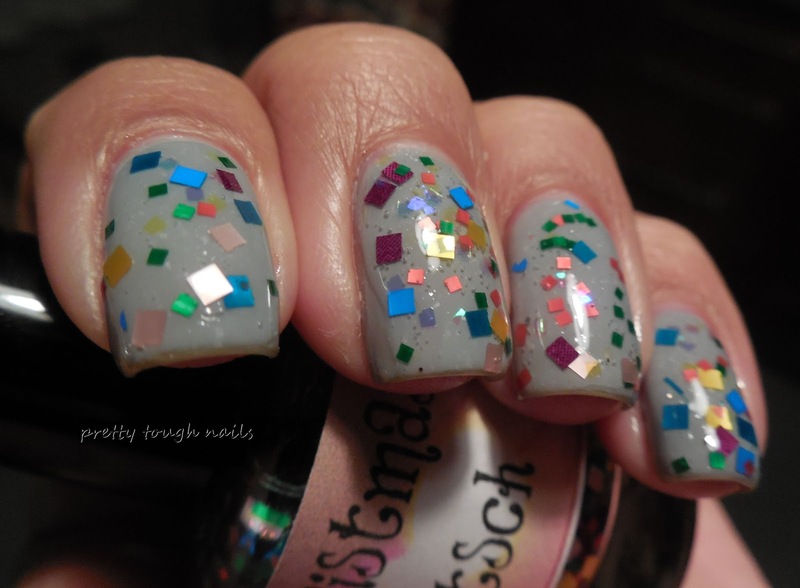 I found another matte glitter to add to my collection, and that's LynB Design's Christmas Kitsch. This was available last year during the holidays and I nabbed it when I saw all the matte glitter goodness inside. 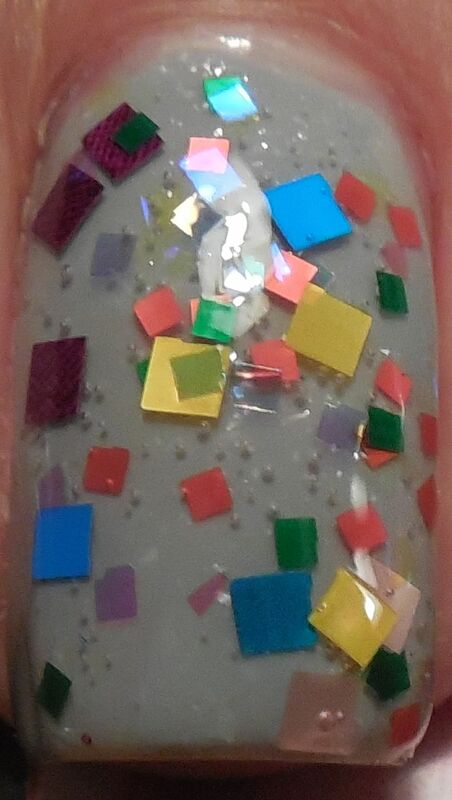 With a multitude of non-holiday matte square glitter colors, it doesn't strike me as a holiday themed polish either, so I think it will be something I can wear year round. I dabbed a layer of it over Illamasqua's Raindrops which you can see by itself here, and I think it made a good base against all the pretty colors in this clear based glitter topper. 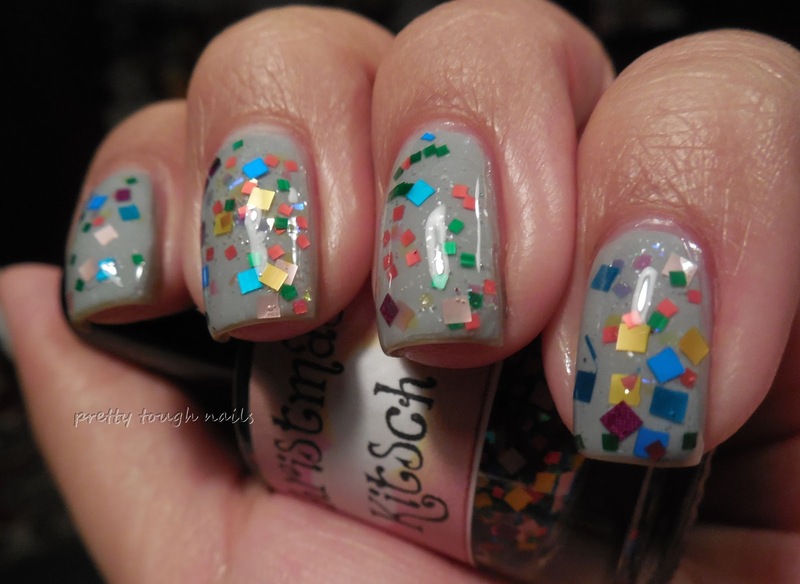 I used a layer of Gelous and Poshe to smooth it out, but unfortunately I got a lot of bubbles trapped in those layers, none of which were caused by Christmas Kitsch. 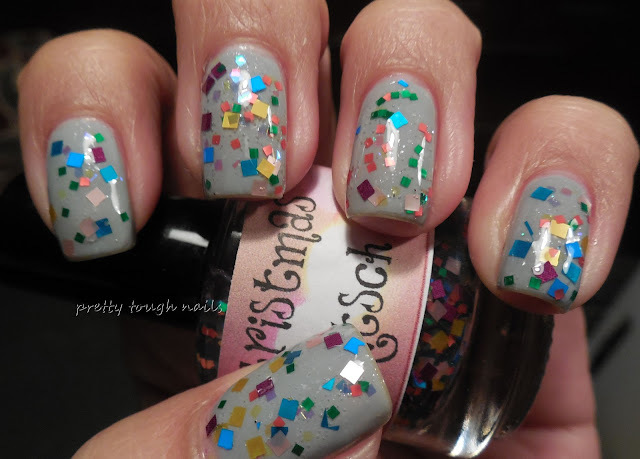 All in all it looks like a super fun polish that can probably go over quite a few different colors. 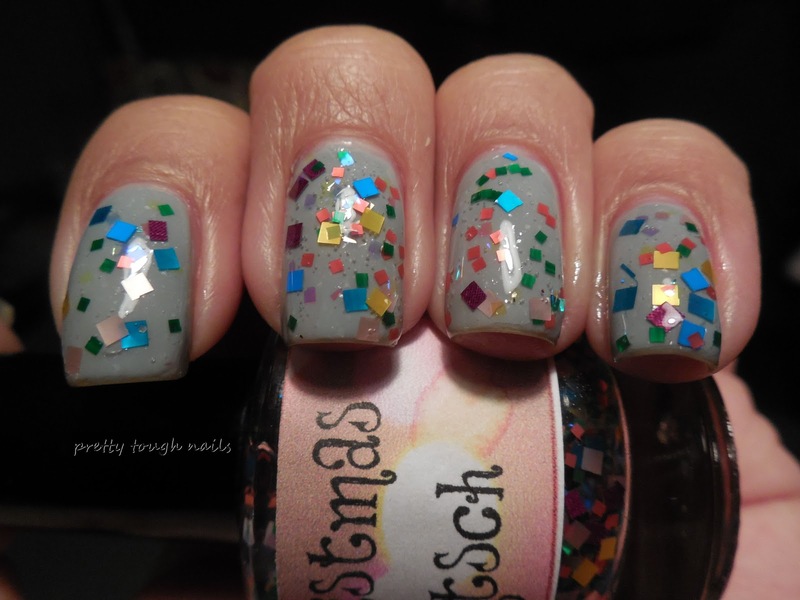 Do you think this glitter topper screams holiday to you?